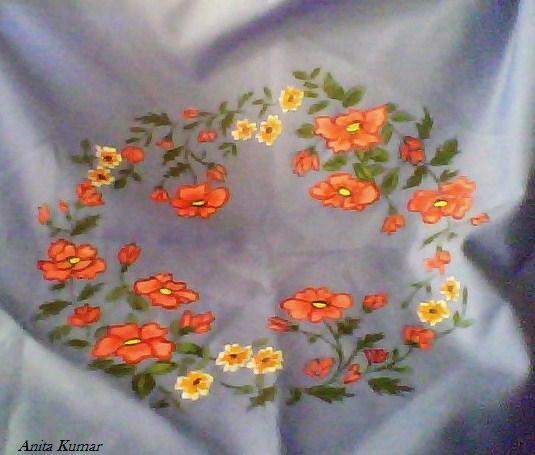 This is a cushion cover which I painted long ago. At that time I had not heard of Donna Dewberrys One Stroke Painting and it took me several days to finish one piece ! Now it seems so easy with her technique. The acrylic colors are coming in handy to paint candles and also for cold porcelain flower making projects. When I bought my first set of paints I didnt know that it would lead to so many crafts.